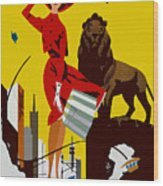 There are no comments for Vintage Chicago Travel Poster. Click here to post the first comment. 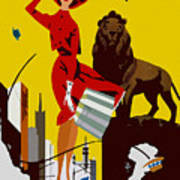 This is a digitally restored vintage Chicago air Travel poster. It depicts a city lady dressed in red and carrying her shopping bag trying to hold onto her hat in the windy city of Chicago. There are other hats that have blown off people's heads that are flying around the scene. 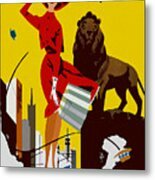 There is a proud lion (image from the Chicago Museum of Art?) and a plane up in the background. 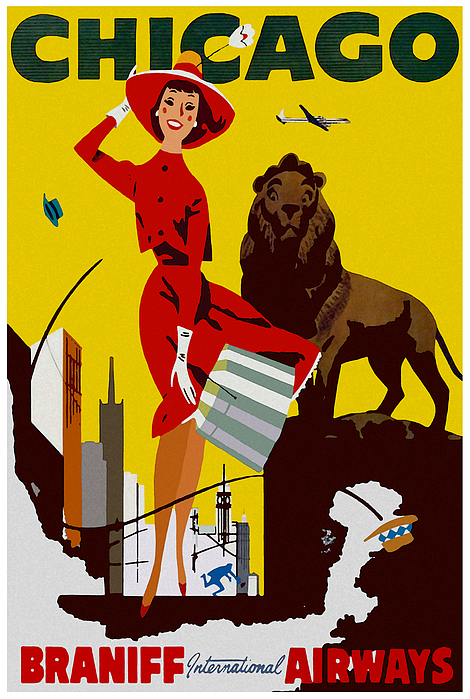 This poster was made for a now defunct airline, and is in the public domain.